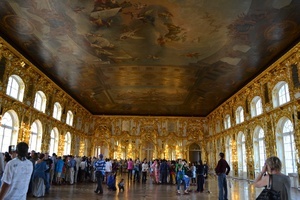 Total duration of this St. Petersburg tour is 10.5 hours. Times and itinerary may vary depending on your cruise schedule. 7:30am - In the morning you will meet your St. Petersburg shore excursion guide at the St. Petersburg cruise port passenger terminal after you pass Immigration and Passport Control booth. 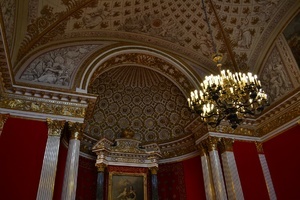 7:30 - 10:30am - We begin the day with St. Petersburg city tour (see the elegant buildings on the Nevsky Prospect, Square of Arts, Winter Palace Square, Bronze Horseman, Strelka, stop at the St. Isaac's Square, Spilled Blood Church, Kazan Cathedral, Admiralty, Rosstral Columns, Fontanka, Canal Griboyedova, Winter Palace, Peter-and-Paul Fortress, Summer Gardens and other remarkable landmarks. 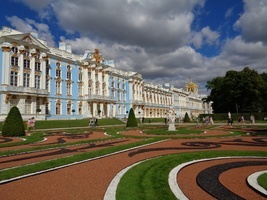 10:30 -1:00pm - Transfer to the town of Peterhoff, see the summer houses (called ‘dachas’) of the Russians en route. Tour Peterhoff Fountain Park. 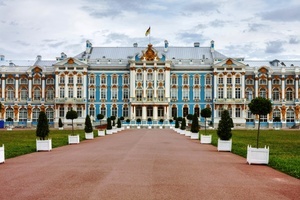 You will walk in the Upper and Lower Peterhof Parks, enjoy the spectacular view on the Grand Cascade with its stunning gilded statues and Grand Peterhof Palace (outside view), learn about the intricate fountain system that operates without pumps, enjoy the 'trick fountains' invented by Peter the Great to entertain his guests, stroll along The Gulf of Finland to admire magnificent sea views and St. Petersburg panorama. 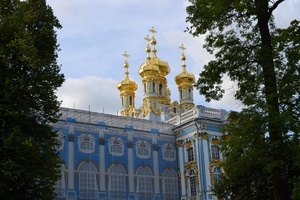 1:30 - 4:30pm - Transfer to the town of Pushkin. 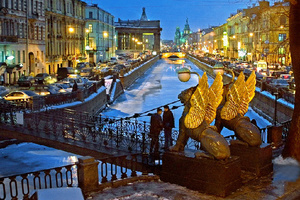 You will pass through the suburban areas of St. Petersburg and see apartment building where local residents live. 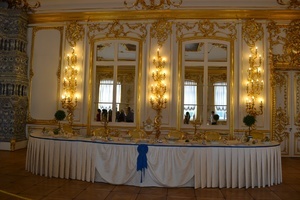 In Pushkin tour the grand baroque Catherine Palace with its endless Golden Gallery of rooms: Great Hall of Mirrors, Picture Hall, Gala Dining Hall, Marble Staircase, the legendary Amber Room etc. and splendid Catherine Park. 4:30 - return to St. Petersburg. 6:00pm - back onboard the ship.